Raaga.com: Mahesh Bhat to reprise his classic film DADDY; Pooja Bhatt to play female protagonist! 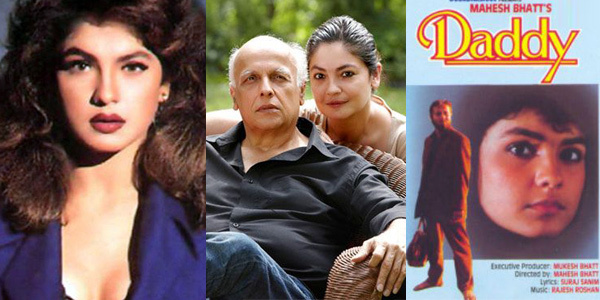 Mahesh Bhat to reprise his classic film DADDY; Pooja Bhatt to play female protagonist! It may be noted that Pooja Bhatt would be seen on silver screen after 15 years. She was last seen in Rahul Bose’s film EVERYBODY SAYS I’M FINE (2001). “Truly when I heard the story I was left thunderstruck. The heart melting tale gave me goose pimples and I embraced my papa with open arms for the fantastic script,” she smiles. “Years later she is hunted by the guilt and depression and takes to alcoholism. Later how her same illegitimate child helps her to restore dignity forms a spellbinding and moving climax,” quips Pooja Bhatt.